Senior NATO and Russian officials failed to make a breakthrough Friday in talks on saving the Intermediate-Range Nuclear Forces treaty, raising the spectre of a renewed arms race in Europe. Western capitals allege that Russia’s latest generation of medium-range missiles breach the terms of the Cold War era INF treaty, and put European cities at risk. The United States has warned that it will begin a six-month withdrawal process from the treaty on February 2, unless Russia withdraws the 9M729 ground-based missile system. NATO ambassadors held talks with a Russian delegation led by deputy foreign minister Sergei Ryabkov at alliance HQ in Brussels, but the meeting ended without a breakthrough. 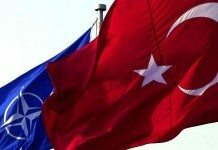 “There was no real progress in the meeting today because Russia did not indicate any willingness to change their position,” NATO secretary general Jens Stoltenberg said. He accused the Kremlin of “hollowing out” the INF treaty. 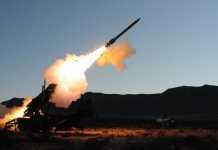 “Russia is now violating the treaty by developing and deploying new missiles,” Stoltenberg said. Russian President Vladimir Putin has warned of a new arms race if the treaty — signed in 1987 by US president Ronald Reagan and Soviet leader Mikhail Gorbachev — collapses. The INF treaty, which bans ground-launched missiles with a range of 500 to 5,500 kilometres, ended a dangerous build-up of warheads in Europe and there are fears a similar situation could re-emerge. US officials have said that if Russia misses the February 2 deadline, the Pentagon will begin work towards its own system that would otherwise be barred by the treaty. Stoltenberg said NATO would not seek to “mirror what Russia does missile for missile, plane for plane or battle tank for battle tank” but would try to craft an effective deterrent response. 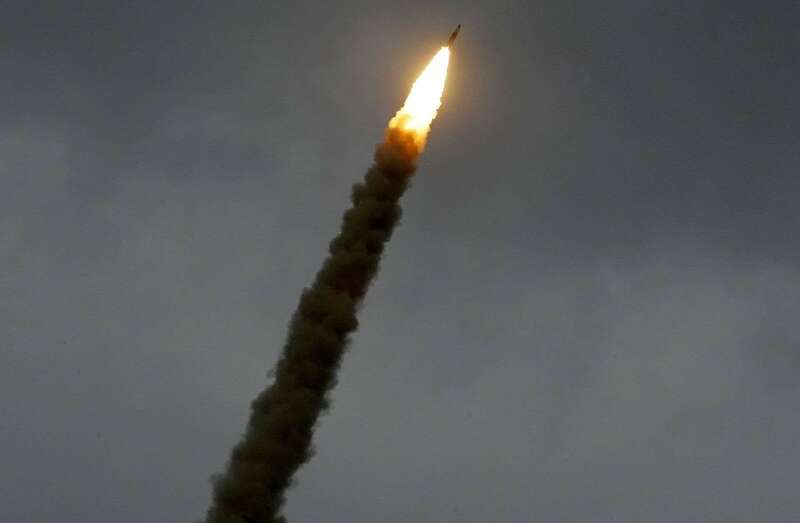 Russia insists the missile complies with the treaty, saying it has a maximum range of 480 kilometres, which cannot be modified by the army. 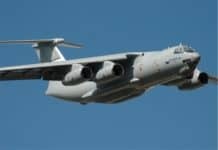 On Wednesday, foreign media and military officials were given a viewing of the controversial system just outside Moscow — though no NATO country took part, according to the Russian defence ministry. 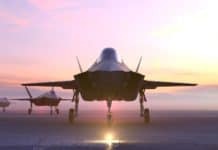 US officials have previously dismissed such “static” displays as essentially useless, as they give no indication of the missile’s range. At Friday’s meeting, Russian officials alleged the US was violating the treaty with drones and target missiles used to test missile defence systems. Stoltenberg said the claims simply aimed to “deflect attention from the real problem” of new, nuclear-capable Russian missiles deployed in Europe, while a NATO source pointed out that drones were not covered by the treaty. 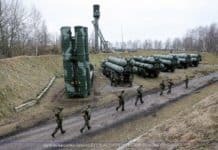 Pressed for an explanation for Moscow’s continued pursuit of the mid-range missiles, Stoltenberg pointed to Russia’s publicly stated concerns about countries not bound by the INF treaty. When the treaty was signed, only the US and Soviet Union were capable of producing such weapons, but last month Putin said about a dozen countries were making missiles of the type banned by the bilateral INF treaty. China — which shares a long land border with Russia — has grown into a major military player since 1987, and India, Pakistan and North Korea are also thought to hold intermediate-range missiles. The Russian leader has indicated he is open to other countries joining the INF or to starting talks on a new agreement.